The idea of wearing braces — whether you’re a preteen or an adult — can be less-than-appealing. The metal wires and brackets cause physical discomfort, and often social discomfort as well. You want a straight, beautiful smile, but is it worth all of the hassle? Are braces really necessary for you? Beyond the esthetic reasons you might consider braces, there are medically grounded reasons to have straight teeth: They’re easier to keep clean and they keep your bite from creating undue pressure on your jaw and other teeth. If your teeth need a little alignment help, but you don’t want to go through with braces, there is a solution available to you. You may have heard of invisible aligner products — like Invisalign — that can straighten your teeth. These aligners are made of plastic, so they don’t include the uncomfortable wires and brackets that come with traditional braces. For severe cases of malocclusion, you may need traditional braces. However, for many cases, invisible aligners can subtly straighten your teeth without all of the downsides that usually accompany braces. Everyone can get behind a treatment with less hassle. The mechanics behind aligners are the same as braces. Invisible aligners apply consistent pressure to your teeth over a long period of time. This gently pushes your teeth into alignment until you have a straight, beautiful smile. As your teeth begin to shift, you will switch to a different aligner set to continue the process. Invisible aligners are not only more comfortable for you, but they also include some added benefits. They’re easier to clean, because you can simply remove them when you need to. 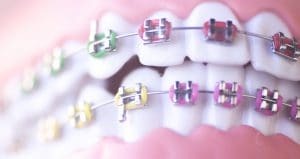 Traditional braces use brackets that are bonded to your teeth — often leaving behind discoloration and making them much harder to clean. If you want a straighter smile and teeth that are easier to clean, you don’t necessarily need braces. Talk to your dentist about options for invisible aligners. You may be surprised by just how convenient the process can be. Elm Creek Dental in Maple Grove provides consultations for aligners. 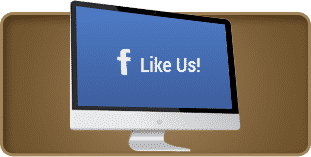 To schedule an appointment with Dr. Carter and the team, contact Elm Creek Dental in Maple Grove, MN at 763-416-0606 today.